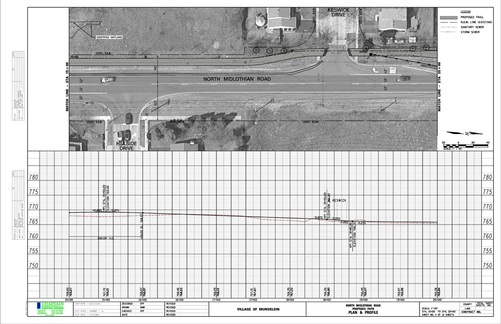 Chastain is providing Phase I planning services for a proposed mile long paved multi-use path along Midlothian Road for the village. Project efforts have included coordination with IDOT-BLR and the Lake County Council of Mayors; environmental coordination through submittal of an ESR application with IDOT-BLR; preliminary design of stormwater drainage improvements including preparation of a Technical Drainage Memo; limited topographic survey; and wetland determinations. Project deliverables include preparation of a Project Development Report for Group I Categorical Exclusions. Project planning, coordination and reporting is focused on receiving design approval from IDOT-BLR to qualify for federal funding opportunities through the regional CMAP Transportation Alternatives Program (TAP).